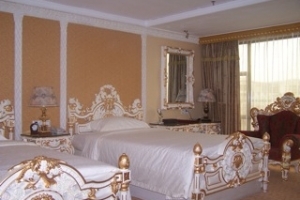 Nanyang King's Gate Hotel (Guangdong Nanyang Changsheng Jiudian) is in the heart of Tianhe District, Guangzhou. 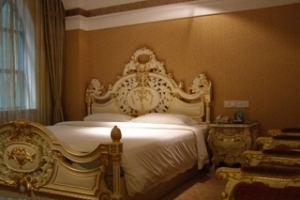 It is near Mount Baiyun and only a 45-minute drive from Baiyun New Airport. The East Railway station is just 5 minutes away. 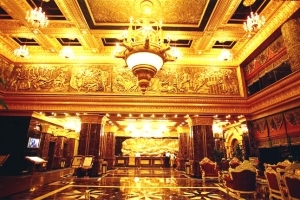 The 25-floor hotel features a French architectural style and provides various luxurious rooms, and all include internet access, computers, large screen TVs, and imported massage-jet equipped bathtubs. 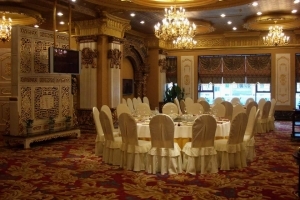 The hotel also provides Chinese and Western restaurants. Other facilities include a healthcare center, snooker and table tennis. 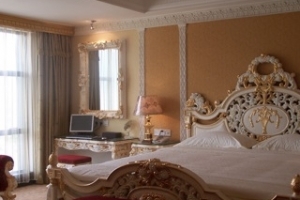 The Louvre is 25-storied and has high-class single-bed room, high-class double-bed room, deluxe single-bed room, deluxe double-bed room, deluxe suite, and deluxe business suite, Luxuriously decorated and the equipments are consummate, all guestrooms are facilitated with gorgeous European palace styled furniture, large-screen TV set, safe, refrigerator, wideband cable and satellite TV programs, as well as the full-intelligent remote control system for the guestroom, including intelligent temperature control, intelligent light control, electronic door key system, audio system, etc. 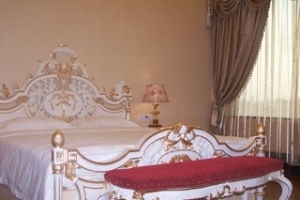 The bathroom of the guestroom is equipped with luxurious steam room and imported massage bathtub. Most of the guestrooms are equipped with wide-screen LCD computers; hence, the guests can surf on the Internet to learn the worldwide information at anytime. 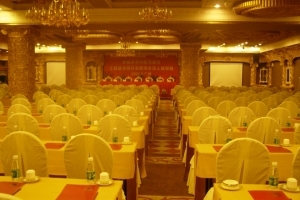 There are several Business Buildings which have been constructed and designed in accordance with the European style, and have various kinds of administrative suites, including one-room-and-one-hall suite, two –room-and-one-hall suite, three–room-and-one-hall suite, etc. 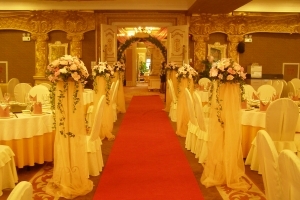 The decoration is elegant, the facilities are consummate, and the atmosphere is comfortable and amiable; therefore, it is suitable for long-stay for business purpose as well as for home reunion and leisure making.